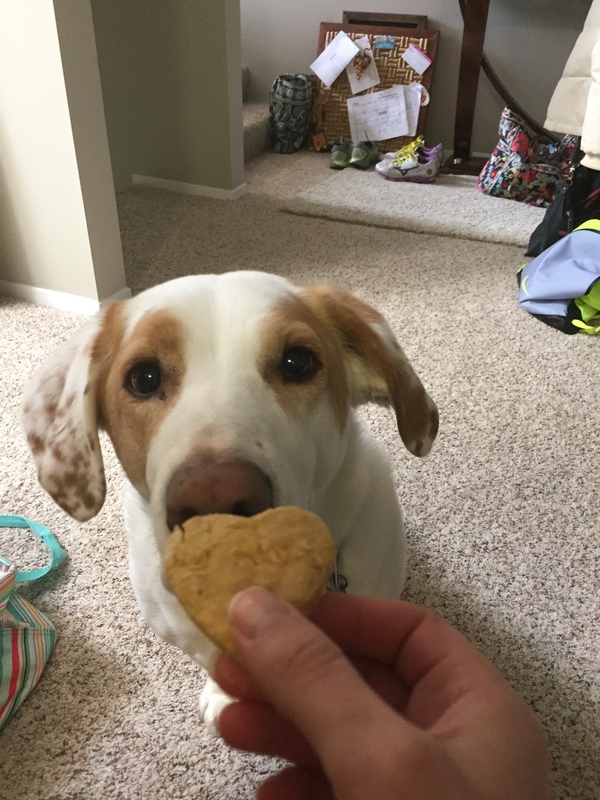 Since it’s Valentine’s Day this weekend, I thought it would be nice to make a special treat for my pup, Izzy. The benefits of DIY dog treats are endless. For starters, they are so much healthier for Izzy. It’s nice knowing the exact ingredients that went into each treat. They’re also super easy and considerably cheaper than buying treats at the store. I’ve pinned a few recipes over the past few weeks and decided to keep these treats pretty simple. I followed a recipe from missmollysays.com for Oatmeal, Peanut Butter, Banana treats. Before I made my treats I had to dig through my storage boxes to find my doggy treat cookie cutter. Unfortunately, it’s buried in the “Kitchen Dishes” boxes so I headed to the nearest local pet store to buy a new one. I’m glad I did because I had a long conversation with the owner about good ingredients for dogs. The recipe above calls for 1 cup of whole wheat flour. As I learned, wheat flour causes a lot of allergies and irritations in dogs. She suggested I use chickpea flour instead. Fortunately, they had some at the grocery store down the street. So to work I went! 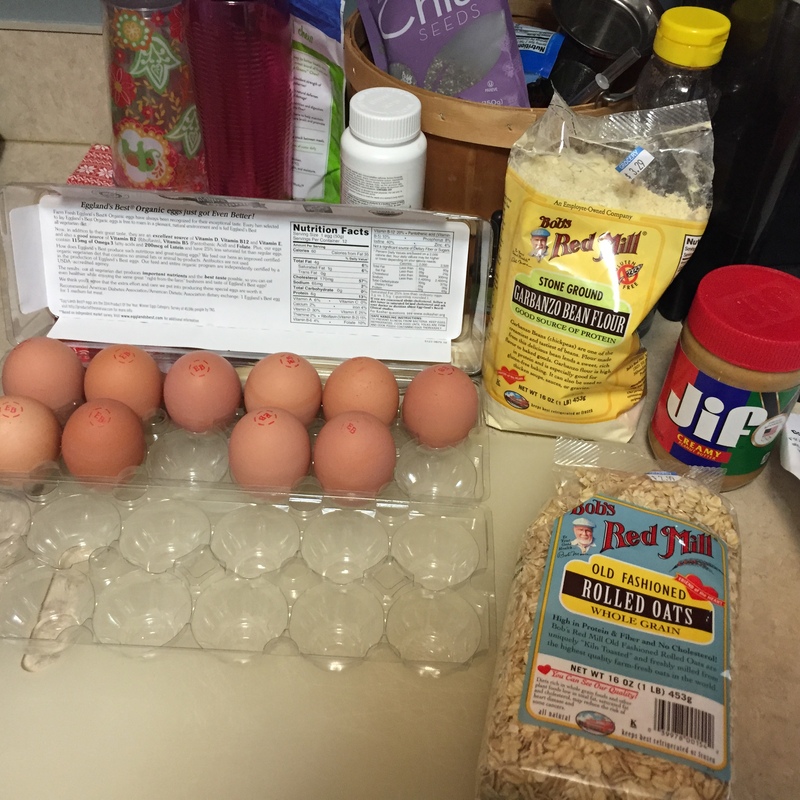 For this recipe I used peanut butter, 1 egg, oatmeal, 1 mashed banana, and chickpea flour. 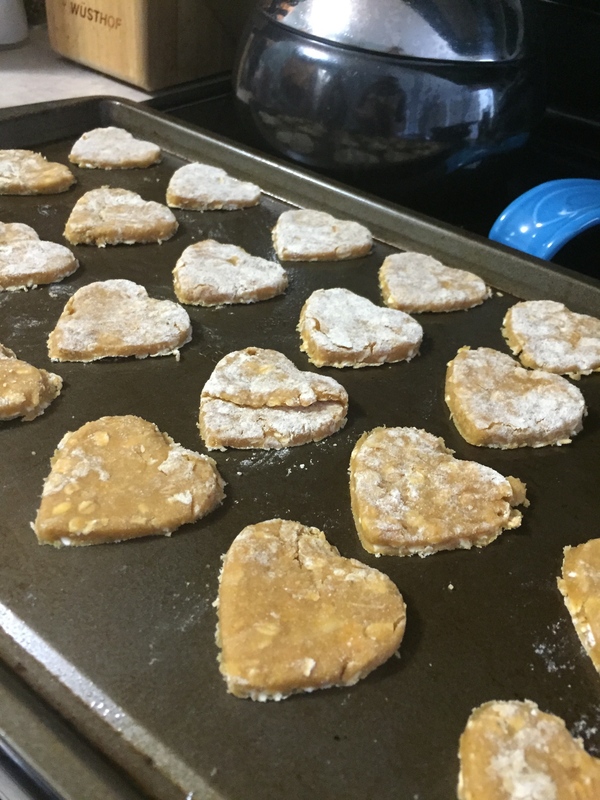 Once I had the dough formed, I rolled it out and used a heart-shaped cookie cutter to make my biscuits. They went into the oven at 300 degrees for 20 minutes and came out perfectly baked! Izzy LOVES them (although she’s not hard to please). I’m sure I’ll be making these again! 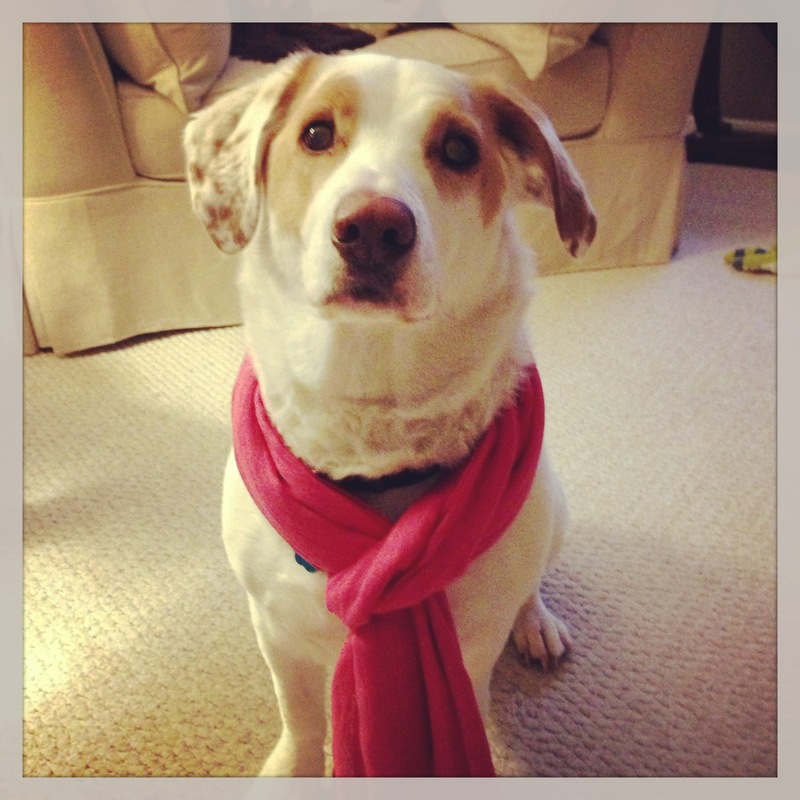 Miss Molly’s site also has other dog treat recipes that I hope to try out as well.